Would it be wrong to hope they succeed? 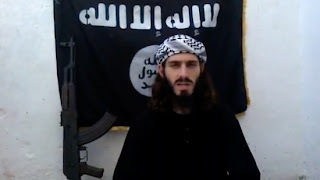 WASHINGTON — Alabama native and former Al-Shabaab jihadi Omar Hammami livetweeted an alleged attempt on his life on Thursday by one of his former fellow fighters. Hammami, also known as Abu Mansour al-Amriki, is an American who moved to Somalia to join Al-Shabaab, a militant group there, and achieved a level of Internet fame for his jihadi raps. He had a falling-out with Shabaab and has since been engaged in a war of words with them over the Internet. He has accused Shabaab of plotting to kill him.